©Neil Turner/TSL. 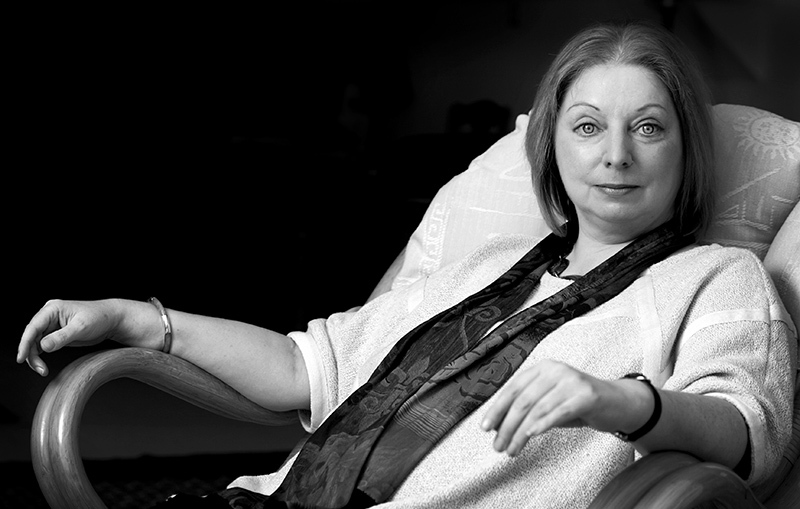 Hilary Mantel, January 2007. I seem to have a very strong memory for where, when and why I photographed people in the past. When names come up in the news I often think “ah yeah I shot them at such and such a place”. Hilary Mantel, double Booker Prize winning author has been in the news a lot this week. She gave a lecture where she commented on the Duchess of Cambridge and in comparing her to the late Princess Diana (the Mother-in-Law she never knew) called her “precision-made, machine-made, so different from Diana whose human awkwardness and emotional incontinence showed in her every gesture.” The lecture was long and talked of many things but the reactions against Hilary Mantel’s views were both harsh and often mistaken. This made me wonder if my view of the situation and the criticism is in any way tainted by having met her, by having admired her books and by actually listening to what she said when I watched the extended highlights of the lecture on YouTube. Of course I cannot really be sure but my memory of meeting Ms Mantel is pretty strong. I can remember her apartment and I can remember her hospitality. I can remember her reluctance to have her picture taken and having spent a lot of time chatting before ever getting a camera out of its bag. I can even remember getting to the location with a lot of time to spare and I can even remember the chat that I had with a chap walking his dog along the street where I parked up and waited in the chilly January air. Without having much to say, I thought that I’d share my favourite frame from the job. It was shot in colour like the rest of the set but I felt the need to convert it to black and white and submitted two versions to the Picture Editor. I wasn’t surprised when they ran it in colour but I have a very strong memory of being mightily disappointed. For the many techies who read my blog, it was shot on a Canon EOS1D MkII with a Canon 70-200 f2.8L IS lens at 1/250th of a second at f4.5 on 100 ISO. It was lit with a Lumedyne flash with a shoot-through translucent white umbrella deliberately set up to lose as much of the ambient light as possible. I have to be honest – those pale irises look a bit scary. Do they look like that in colour. Yes… icy…and the RAW conversion going through one of the filters in ACR helped too.